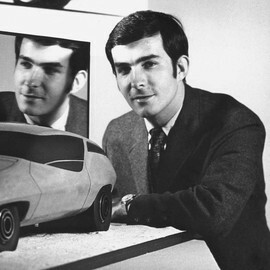 Harry Bradley (May 25 1939-Present) is an American car designer who has previously worked with both General Motors and Mattel. While working for GM, Bradley published other designs for automobile magazines under the alias Mark Fadner, as GM would not allow their employees to publish for other companies while employed. In 1966, Bradley began working for Mattel, where he designed the original line of Hot Wheels, before leaving the company in 1969. His work for Mattel earned him a Diecast Designer Award for the Diecast Hall Of Fame in 2012.